Do you feel called to heal others and make a difference in the world? Want to powerfully expand your healing abilities and use them to energize your life and the lives of everyone you meet? Would you like to learn to tap into Spirit’s most profound healing wisdom? Are you tired of temporary healing, where things seem to get better only to fall apart again? Would you like to know how to TOTALLY heal the mind, body, and spirit? with the JVP School of Mystical Arts! In this visionary online certification program, world renowned spiritual teacher James Van Praagh teaches you how to unlock your extraordinary abilities to heal and be healed. You see, the only way to fully heal the body and mind is by healing the Spirit within. When you’re hurting, you might see a doctor or therapist. These two mind and body experts work hard to help heal you. They undoubtedly play an important role. The body and mind are covered, but what about the Spirit? The lack of Spirit in healing is why so many never completely heal. This extraordinary course changes that! Masterfully unlock your unique spiritual healing abilities. Discover how to expertly connect with your unique set of Healing Guides. Learn how to channel divine healing energy into your life and the lives of others. Discover special techniques for reading someone’s soul contract. Become an enlightened channel of Divine wisdom. Unleash the profound healing power of the mind. Find out how to clear hidden blocks to total healing. Fully understand the subtleties of working with healing energy. Learn little-known techniques for reading and balancing chakras. Discover how to heal even when healing seems impossible. Learn how to empower other’s unique healing journey. Learn several miraculous spiritual healing rituals. 8 weekly experiential lessons to watch at your convenience. Live group coaching calls – ask James your questions about the materials. Private Facebook Community – make friends and get support from like-minded souls! A library of deep healing immersion meditations. Illuminating weekly assignments to help you hone your abilities like never before. Exclusive Certification with The JVP School of Mystical Arts. What Makes the JVP Healing Certification So Unique? The focus of this extraordinary course is on the one component that prevents full healing: The Spirit. Whereas there are many healing courses available today, very few address the spiritual aspect of healing. It is how we treat our spirit and how connected we are to the divine spirit that determines whether we’re healthy, happy and at peace. Chances are that the issue you or your clients have of the mind and body (and even energy) are the result of a weakened spirit. James has infused this course with several learning opportunities to help you fully understand and practice the art of SPIRITUAL HEALING. Experiential Processes – Over 70 in all! : This is not the kind of course where you just watch a talking head! James has infused this course with special processes designed to help you access your hidden healing abilities. Channeling from Above: As a spiritual healer, you must cultivate a strong connection with your healing guides. James shares unique techniques to do so. In-the-Field Healing Demonstrations: James takes you to a groundbreaking energy lab called Psy-Tek for a fascinating demonstration that proves how our thoughts, feelings, and beliefs impact the chakras and physical body. He also brings you along as he visits with other healers who demonstrate their processes in action. Benefits to the Healer and Healee: One of the amazing aspects of this course is that the exercises will not only help you heal more deeply – the techniques are also designed for you to use to invoke full healing of others. Exclusive Interviews: What do you do when something so awful happens, it seems impossible to heal? Find out as James visits with Dr. Edith Eger, a prolific author, PTSD expert and holocaust survivor. Dr. Eger shares healing wisdom you will definitely want to pass on to others. Ongoing Support: In addition to the private Facebook community, you receive ongoing support from James through his regular certification coaching calls. This groundbreaking certification course is broken down into 8 weekly lessons. Each lesson includes several video trainings, experiential homework, and more. You’ll also join James for four “office hour” conference calls, where he’ll take your questions. Fully understand the essence of spiritual healing. Tap into the transformational power of God and the Universe. Unlock your unique identity as a healer. Learn special techniques to energize your healing space. Unlock your ability to sense the energy around others and in spaces. Discover special techniques for clearing negative energy particles from your space and that of others. Unleash the power of words to heal. Learn how to powerfully charge people and situations with the healing energy of love. Fully understand the intricacies of each of the seven chakras. Discover how to tell when a chakra is blocked. Master the art of scanning chakras – on yourself and others. Learn little-known techniques for balancing each and every chakra. Take an exclusive trip with James to Psy-Tek, a groundbreaking energy lab, for a fascinating demonstration that proves how our thoughts, feelings, and beliefs impact the chakras and physical body. Learn the latest scientific research into the healing power of the mind. Experience several channeled “mind journey” visualizations that unlock the mind’s hidden healing abilities. Learn how to identify and let go of beliefs that prevent healing. Discover simple yet highly effective techniques for adopting thoughts, feelings, and beliefs that promote healing. Learn how to read someone’s soul contract. Help your client connect with loved ones in Spirit who still need healing. Find out how to support a client in understanding the greater reasons for pain and suffering. Discover how to do an absent healing. Learn the art of karmic healing. Visit with renowned teacher Dr. Edith Eger, prolific author, PTSD expert and Holocaust survivor, for an extended lesson on how one can rise above even the most horrific experiences. Learn how to recognize and connect with your most powerful Healing Guide. 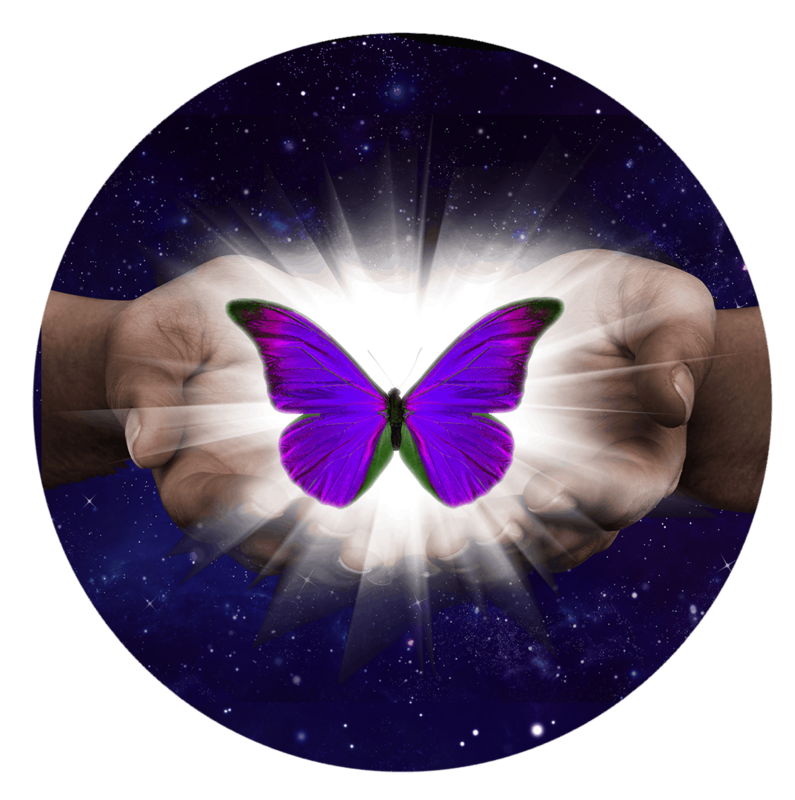 Experience a special process to build your Healing Team of Guides. Take an incredible Mind Journey to the Healing Space in Heaven. Discover the importance of prayer in spiritual healing and learn the most effective ones. Learn how to channel healing insights from Spirit. Learn how to use color to heal. Discover the importance of breath and master several breathing techniques that promote healing. Learn how to heal with the life force elements of water, air, and more. Find out how to use a pendulum for healing. Discover how various crystals can promote wellness and balance. Amp up your abilities even more thought several experiential exercises. Become more confident in yourself and your healing abilities. Discover how to be a world healer. Learn the ins and outs of working with others. I was almost in cardiac arrest! James teachings helped me turn things around. These seven meditations are channeled from Spirit to help you and your clients cleanse and balance each chakra. In this special online seminar, James teaches you how to protect your sensitive energy and set loving boundaries between yourself and others. Dear Soul Friend, I’m confident the JVP Spiritual Healer Certification Course will help you tap into your healing abilities, providing you do the coursework. So I am offering a 10-day risk-free guarantee! How your guarantee works: Enroll now and join us for the first two lessons. You must submit all homework for the lessons and log into the course portal at least twice as well as participate in the learning process by attending one conference call or posting four times on the private Facebook page. If you take this action and still find the course isn’t helping you, I’ll be happy to refund your tuition. Please note that refund requests must be submitted within ten days of the official course start date. You’re feeling called to expand your healing abilities. You care deeply about others and want to support them on their journey. People often come to you for help or tell you about their struggles out of the blue. You work in any helping profession, such as counseling, coaching, teaching or medicine, and want to develop a stronger connection with clients. You want to explore your connection with Spirit. Here’s a Recap of Everything You Get in the JVP Spiritual Healer Certification! Register Now and Save 31%! With the payment plan, you will be billed every 2 weeks. You will receive your first lesson upon enrollment. You will receive your first lesson upon enrolling. What is the office hours call schedule? There are four course-specific office hours calls which are available on demand in the course. Students also have access to James’ ongoing certification office hour calls, which are typically held on a monthly basis. Those calls are announced about 1 week in advance. Please note: If you cannot make a live call, do not worry! You can always post questions for James on the private course Facebook page. I am not a professional healer. Is this course right for me? Yes! People from all backgrounds have gone through these kinds of trainings with James.